All treadmill sessions are by appointment only. A 12 hour cancellation notice is required. The right Stride… The right strength… The right Solution! 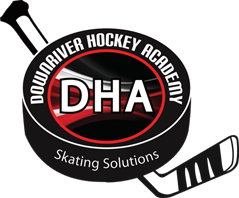 Downriver Hockey Academy Offers training with Skating Solutions skating treadmill. The fast paced game of ice hockey has changed! Players have to be stronger, faster and have more stamina. The need for intensive off ice training has become a very important part of the game. The skating treadmill pushes athletes like never before, giving them the edge they need over their competition. The skating treadmill is one of the most efficient tools I’ve seen in over 30 years. After just a few sessions of training, students show improvements in their stride mechanics, speed, and overall confidence. The controlled environment allows the trainer to communicate instructions to the student without interruption. No more time consuming video analysis or costly ice-time is needed. While skating on the treadmill, athletes face a mirror and are able to correct their stride deficiencies immediately. The treadmill surface, made of polyethylene slats, has more friction than ice and will not allow for inefficiency. 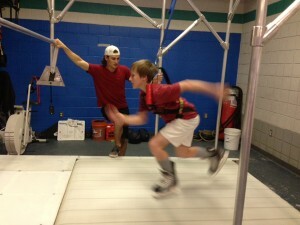 Unlike constant movement on the ice, if the student’s stride becomes inconsistent, they will eventually find themselves drifting to the back of the treadmill. Once the athlete is able to maintain the proper stride at the customized speed, their program will be adjusted to a more intense level. Speeds up to 20 miles per hour, elevation, and resistance are all added to keep students progressing through each level of training. 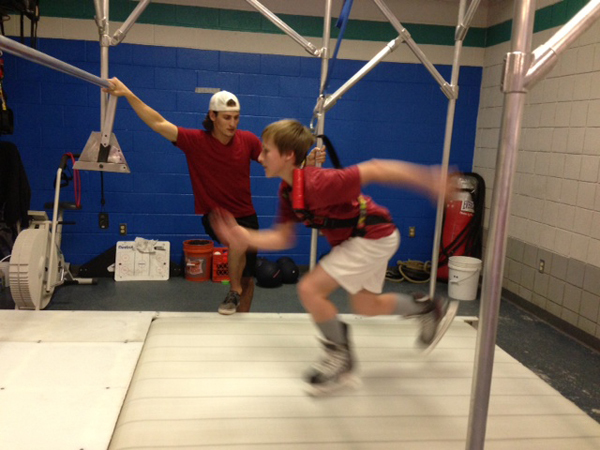 The skating treadmill improves coordination, stability, overall strength, and explosiveness for skaters of all ages. Treadmill training is unparalleled when it comes to providing the right stride, the right strength, and the right solution for the athlete. Schedule your skating treadmill training.